On behalf of the Hellman Foundation Board of Directors, it is with great sadness that we announce the passing of co-founder Patricia Christina “Chris” Hellman, a beloved San Francisco leader and true original. This past Saturday February 4th, she passed away peacefully after a long illness with Alzheimer’s Disease, surrounded by loved ones at home in San Francisco. Many of you knew Chris and her deep commitment to community, culture and the arts. While some of you knew Chris as the wife of legendary financier Warren Hellman, Chris was a talented dancer, artist and philanthropist in her own right. She was generous with her time, energy and funding – always ready to roll up her sleeves whenever it was needed. Chris was a graceful, creative and intelligent woman; loyal friend with a great sense of humor; loving wife; and devoted mother of four, grandmother of twelve and great grandmother of four. Born in London in 1933, Chris was a talented prima ballerina with the London Festival Ballet. 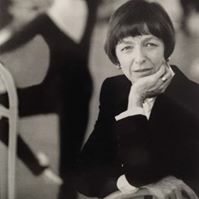 Former Chair and longtime member of the Board of Trustees of the San Francisco Ballet, San Francisco Ballet headquarters was named the Chris Hellman Center for Dance in 2010 to honor her legacy. She was an avid skier and gold medal winner in the Masters World Cup Slalom competition, and co-founded the Stratton Mountain School in Vermont, a college prep Olympic Ski Team training ground. Chris was a renowned watercolor painter, noted for her beautiful “Botanical” series, whose work was exhibited at the Rena Bransten Gallery, Bolinas Museum, and Osher Marin Jewish Community Center, among others. Chris and Warren, along with their four children, created the Hellman Fellows Fund to support outstanding junior faculty research. This landmark program has grown to support more than 1,400 faculty with $50M at all ten UC campuses and four private institutions. As a Board Member of the San Francisco Free Clinic—founded by her daughter and son-in-law, Drs. Tricia and Richard Gibbs – Chris was dedicated to health care and insurance for those who needed it most. Chris never missed an opportunity to give back, especially to young people. Chris Hellman walked quietly through the world but left behind a huge footprint. We are comforted that her extraordinary life stands as an inspiration to all who want to give back to community and live with passion, authenticity and purpose. Donations may be made in Chris Hellman’s name to the San Francisco Ballet or the San Francisco Free Clinic.